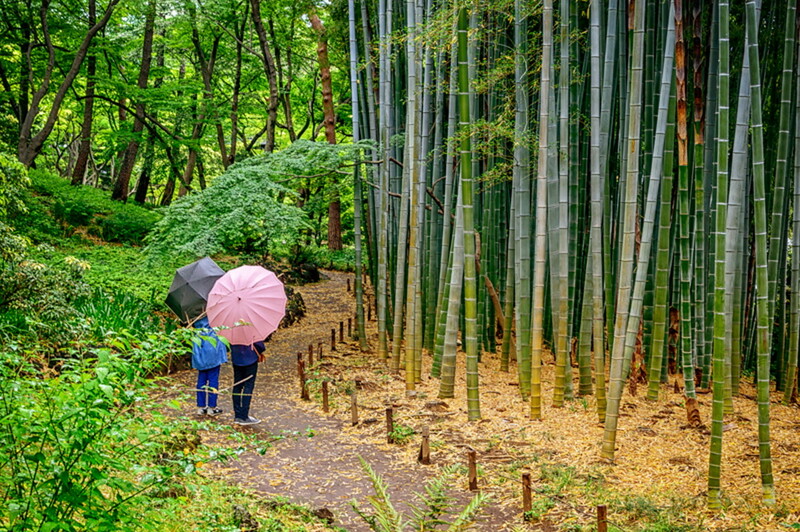 One of the most beloved things about Tokyo is its picturesque parks, gardens and green spaces, which all have colorful stories to tell. 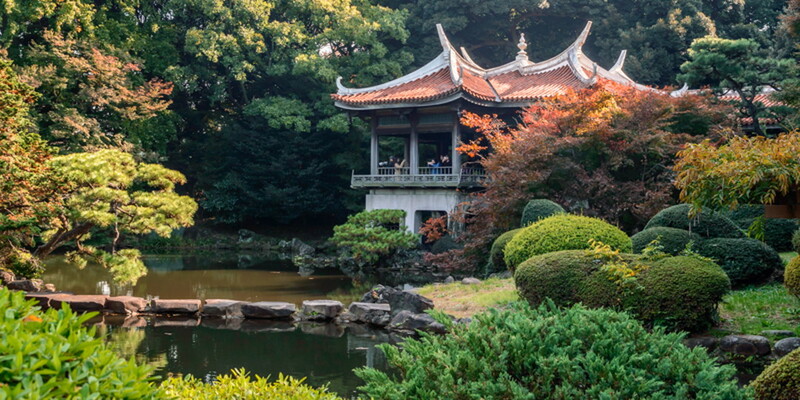 Visiting a metropolitan garden would provide you an escape from the crowd and time for rejuvenation. This list will guide you to the 5 best metropolitan parks with easy access, from popular, classic spots to lesser-known locations you may not have visited before. 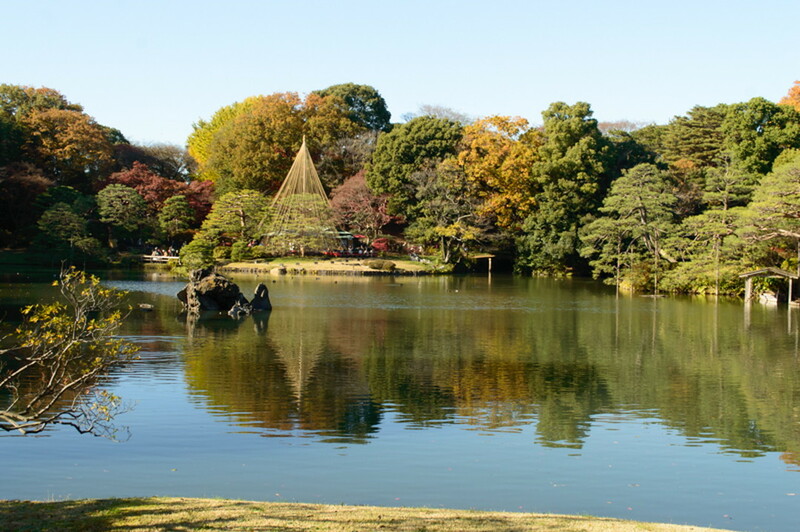 Shinjuku Gyoen National Garden is a spacious park covering an area of over 140 acres. 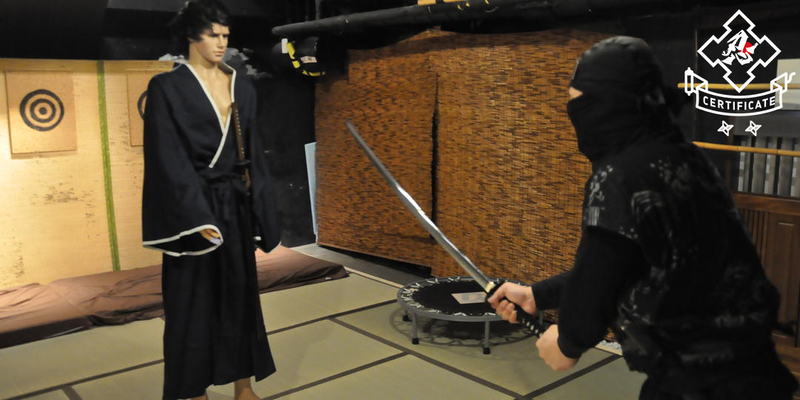 It combines three distinct styles: French Formal Garden, English Landscape Garden, and Japanese Traditional Garden. 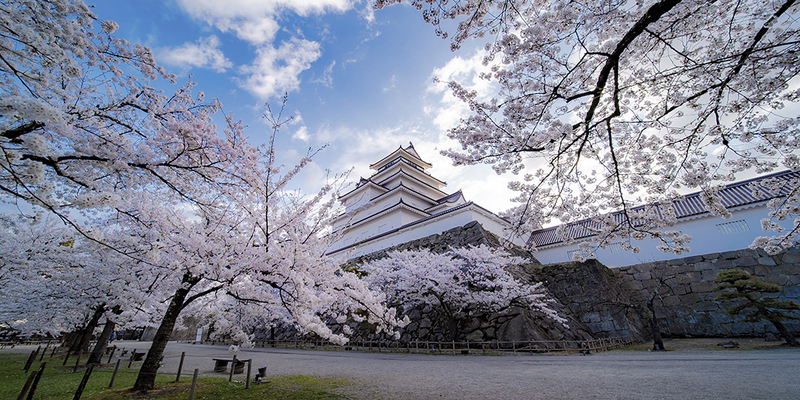 Thanks to over a dozen variety of cherry trees, including early and late blooming trees, this is the place for sightseers who miss the main season by a week or two. In autumn, there are sycamore, gingko and maples trees, each revealing their fall colors at a slightly different time. Come and enjoy the beauty of the four seasons in this historic garden. 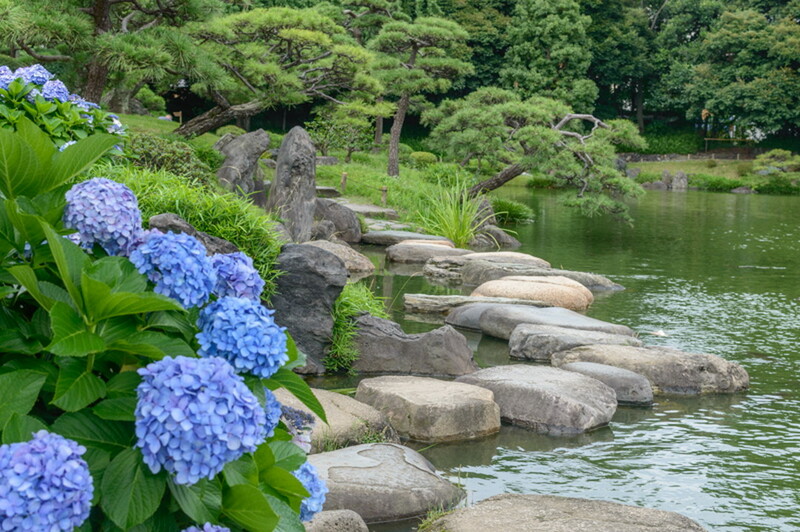 Known for its unique stepping stones, Kiyosumi Teien is a significant garden donated to Tokyo by the founder of Mitsubishi, who acquired the park and used it for entertaining his guests. This is a rock garden where visitors can enjoy late-blooming cherry trees during spring. 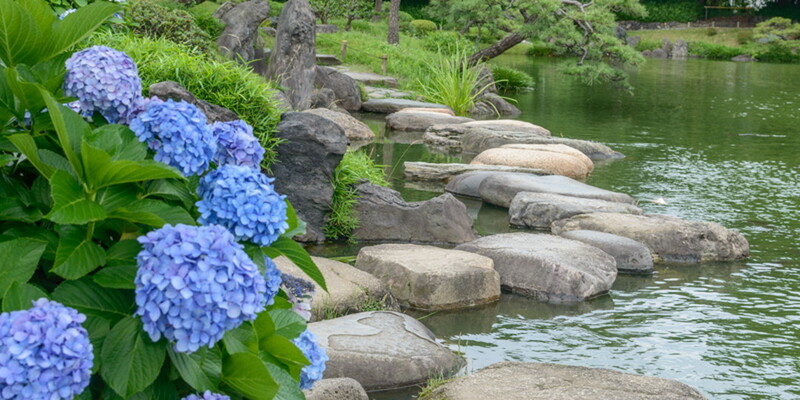 Blooming hydrangeas alongside renowned stepping stones create a stunning scene in summer. 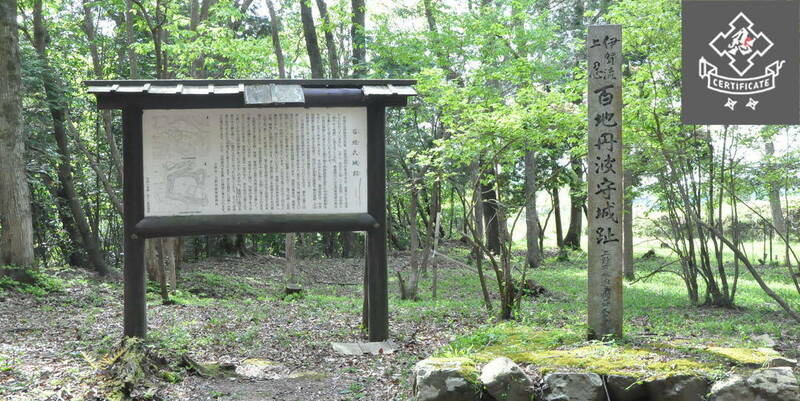 Interesting sights include a man-made hill, stone walking paths, and a huge garden pond. Bird watching can be done all year round. Tonogayato Teien, a hidden gem of Tokyo, sits in Kokubunji City, further away from the center of the Tokyo metropolis. 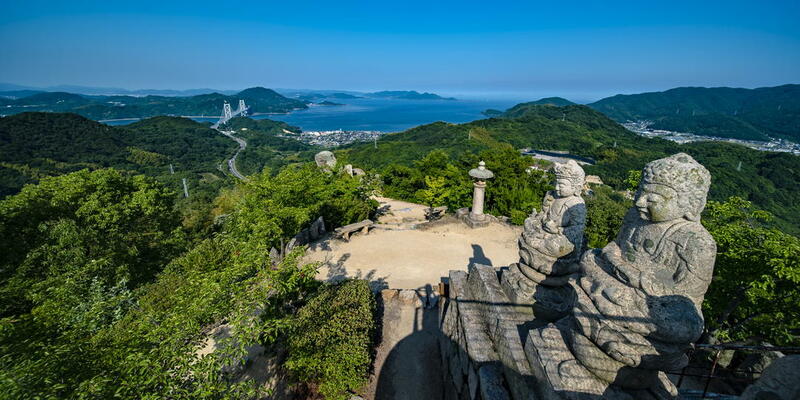 It is a landscape garden, a blend of Japanese and Western styles featuring valleys made from stepped hills. It’s a delightful place to wander around throughout the year, however, it is particularly stunning from late April to mid-May when wisterias are in full bloom. It’s also perfect for autumn leaves viewing as red maples provide a nice contrast with the blue sky and lush green bamboo grove. The garden pond with ornamental carp and waterfall form a lovely scene. 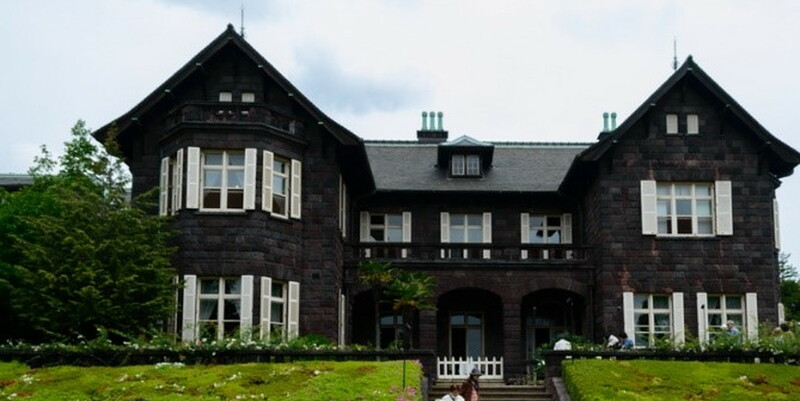 Kyu Furukawa Teien boasts a mix of Japanese and Western styles, featuring an elegant European style mansion with Japanese traditional garden. 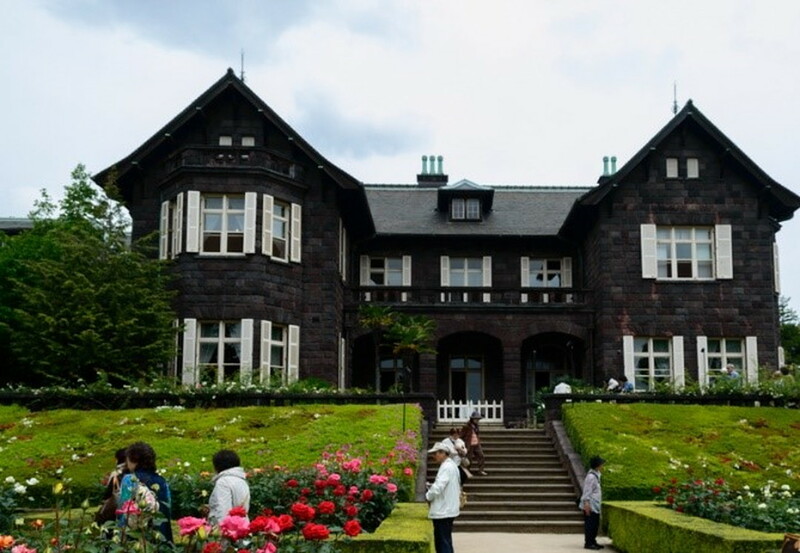 The brick mansion houses the Otani Art Museum and is set in a formal yet relaxing English style rose garden. 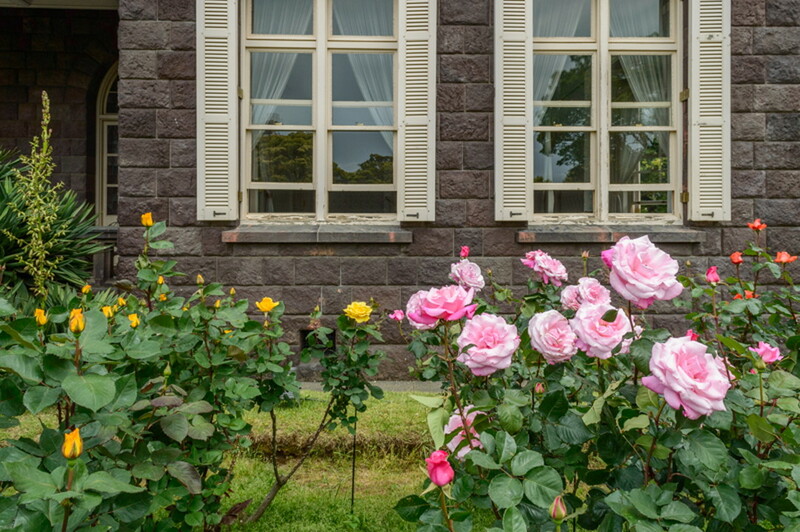 The renowned Rose Festival, held annually, is where visitors can try rose flavored soft serve and rose themed snacks. 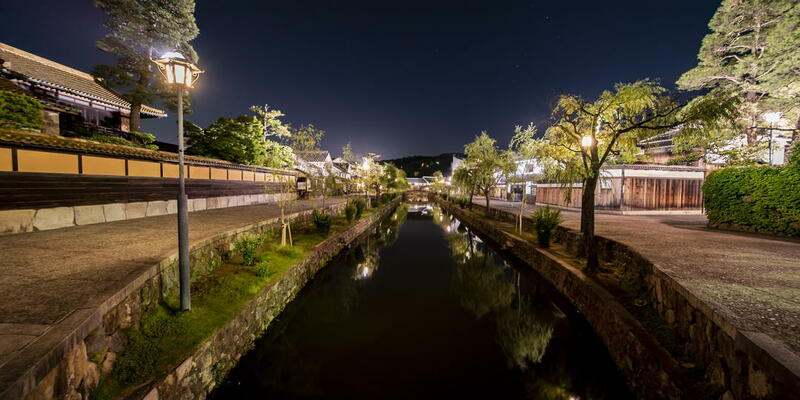 Nighttime lighting creates a fairy-tale-like scene. 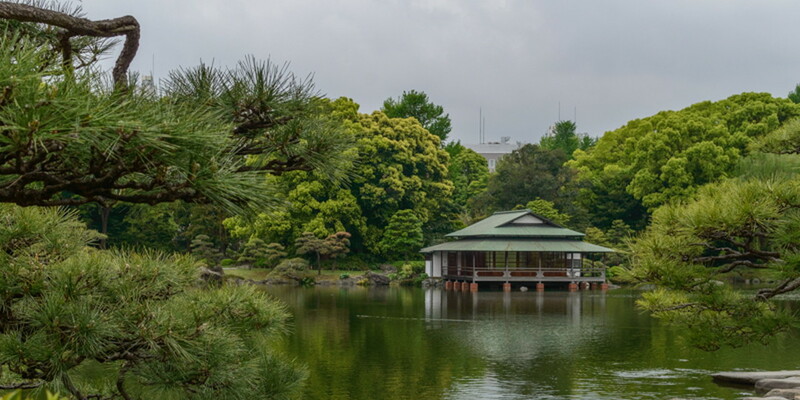 Half of the park comprises a Japanese garden built around a pond with stone structures. You can expect to see beautiful fall foliage around this Japanese garden from late autumn to early winter. 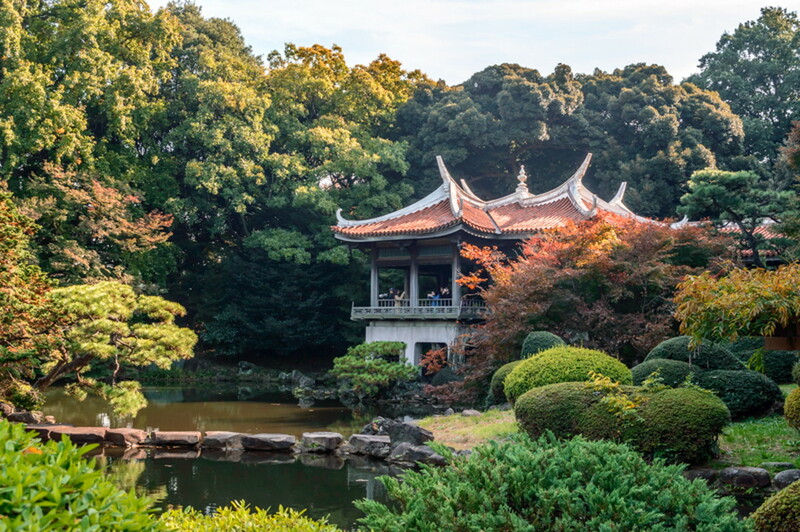 Located in a quiet residential part of northern Tokyo, Rikugien is often considered one of the most scenic Japanese gardens in Tokyo. 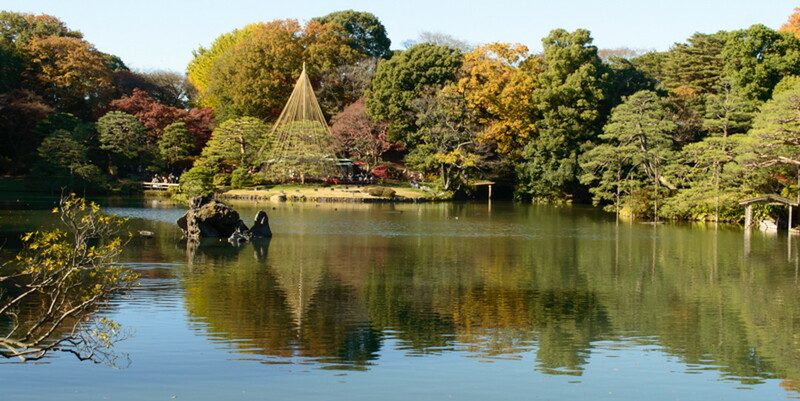 It’s delightful for a gentle stroll, especially in autumn, when the park is open at night and illuminated during the peak autumn-colors period. To celebrate the season, find some delicious snacks, such as maple leaf rice crackers, from the food stalls in front of the main gate and enjoy them inside the park. The park will have a different look in spring, when weeping cherry trees and azaleas are blooming. These gardens are great destinations for nature enthusiasts drawn by scenic landscapes. 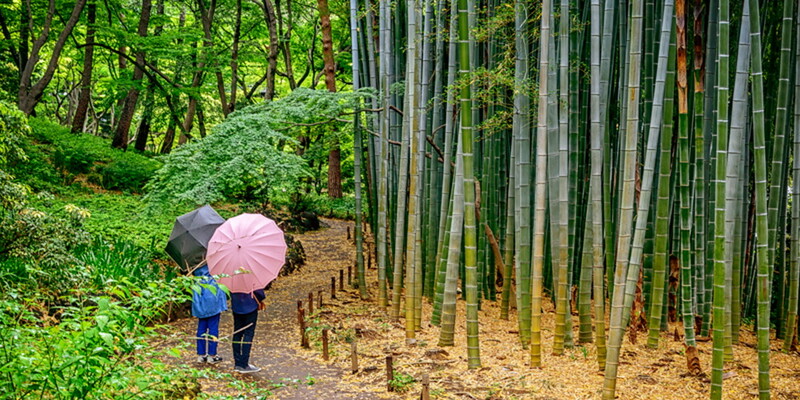 Take a pleasant walk and indulge your senses in these fragrant oases of tranquility for a different taste of Tokyo.